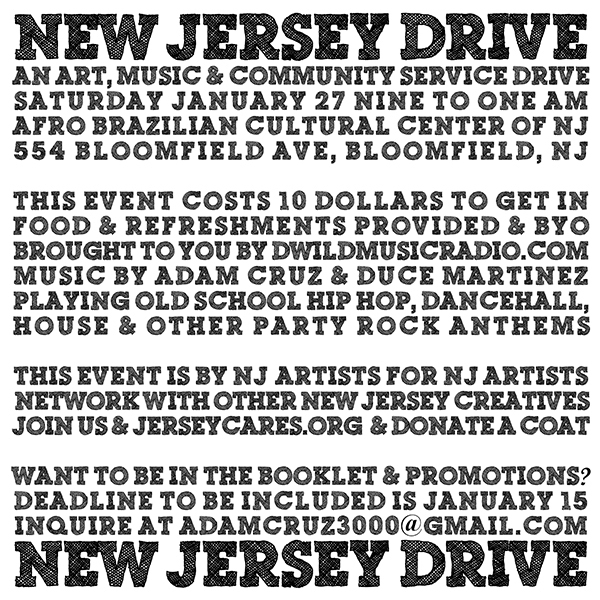 ::: Join us on Sat Jan 27 for New Jersey Drive: An Art, Music & Community Service Drive - Bloomfield! 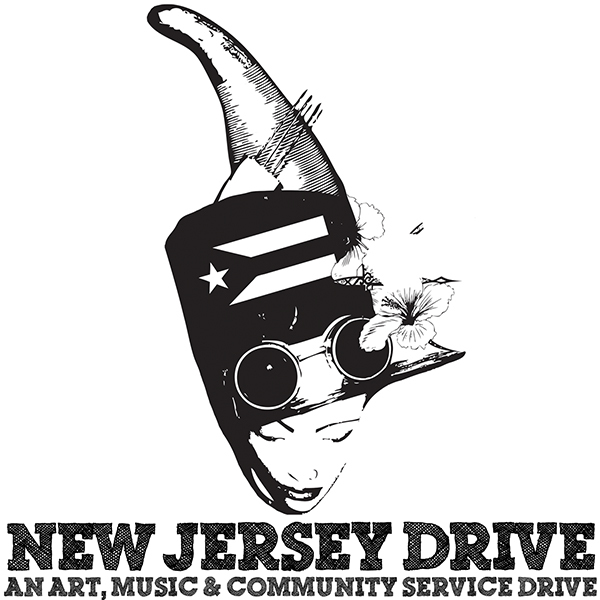 Join us on Sat Jan 27 for New Jersey Drive: An Art, Music & Community Service Drive - Bloomfield! Are you a New Jersey creative and would like to be included in our next booklet and artist promotions cycle? - Don't forget to plug your latest project!